The course is structured over 4 months (June – September). We meet on weekends, usually every other fortnight. This structure allows the necessary time to study and apply the concepts learned in the convenience of your own time and practice. 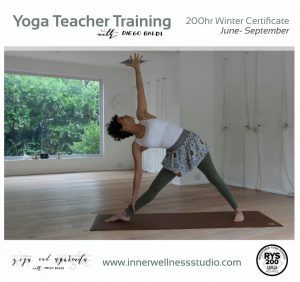 The postures outlined in the course syllabus are taught from an alignment based model, following many of the teachings of the Iyengar gurus, and includes teachings from other branches of Yoga as well.